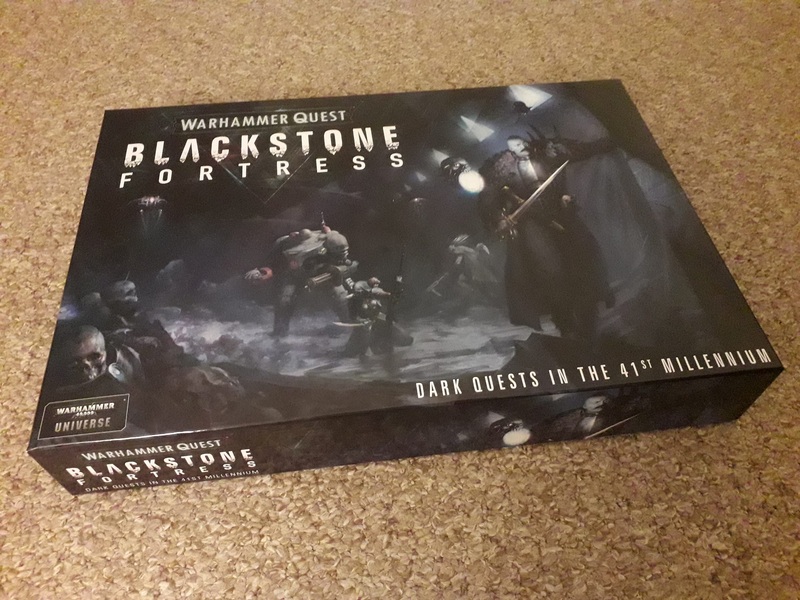 Had my first game with Warhammer Quest: Blackstone Fortress at the weekend, so thought I’d re-institute the Game Day blogs while we run up to the festive period by looking at this beast! 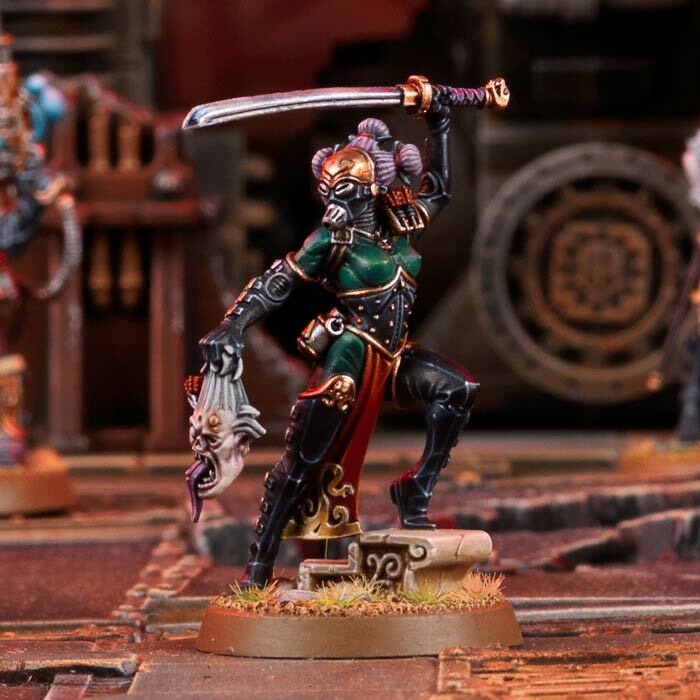 At its heart, Blackstone Fortress has a lot in common with the earlier Silver Tower game. 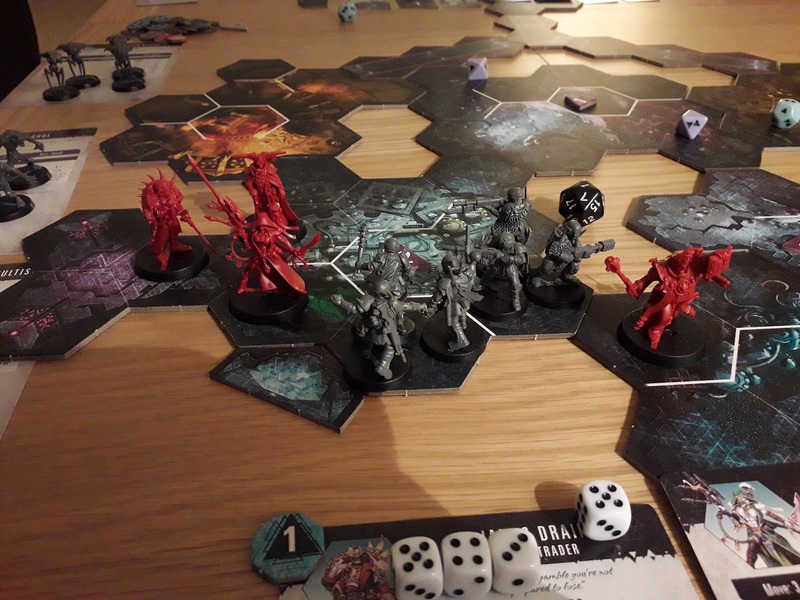 We have a co-operative adventure for four heroes delving into the labyrinth, with the mechanics of destiny dice and activation dice being common to both iterations. 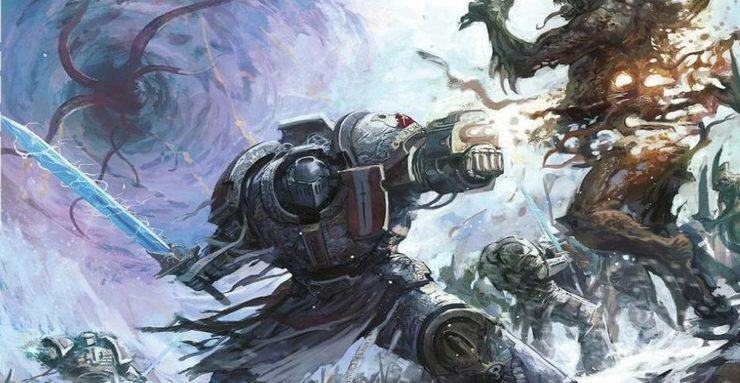 There have been some tweaks, which has led to many people calling Age of Sigmar in general something of a test-bed for 40k and its related games. 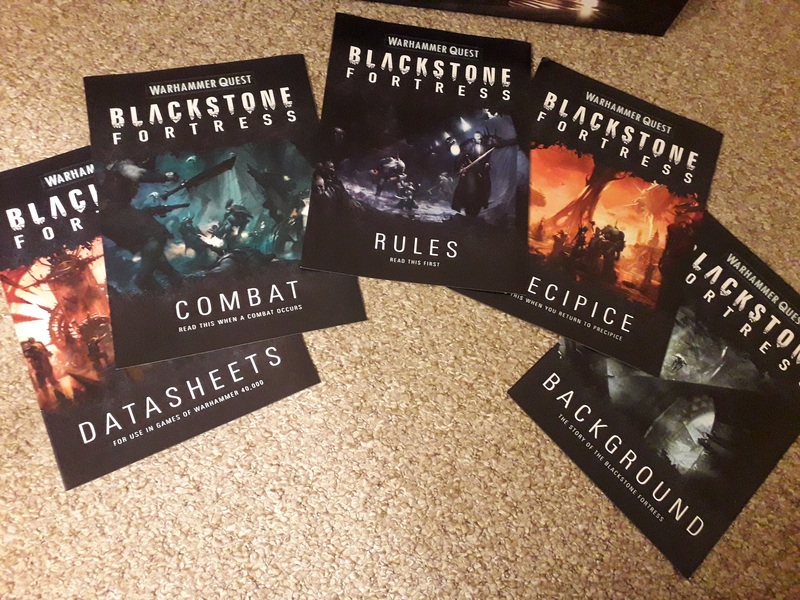 I’m not going to call Blackstone Fortress a re-skin, as there is more to it than that. But there are enough similarities between the two so that, if you’re familiar with one, then you’ll be able to get cracking with the other quickly enough. Once I got going with this, I certainly had no problems running the adventure along. 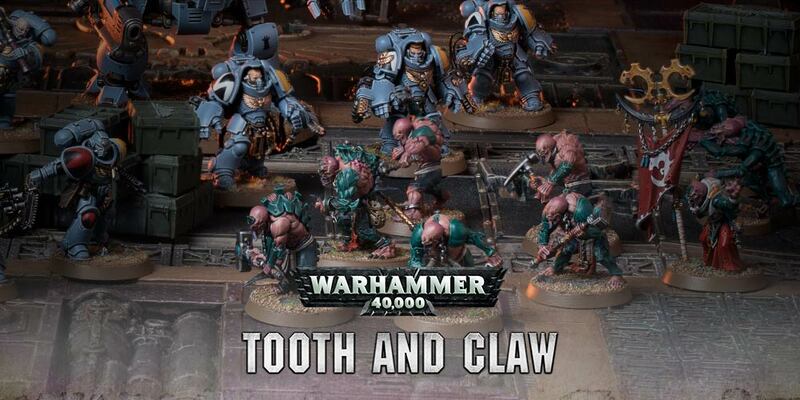 The biggest draw, for me, was definitely the miniatures. 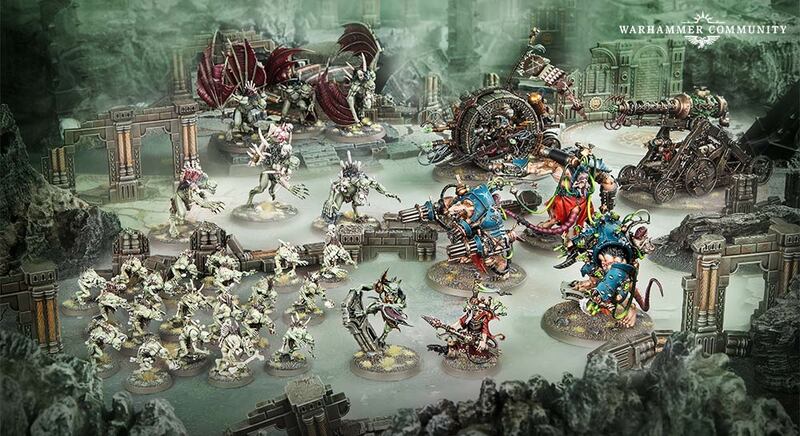 I try not to buy these games purely for the minis, as I want to enjoy the game aspect of the box. 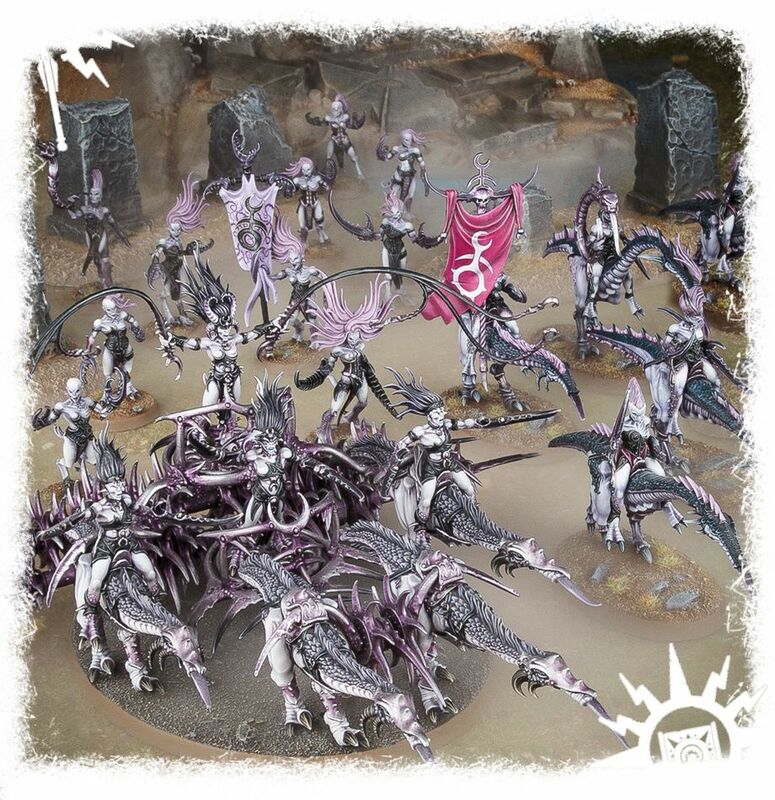 I am extremely guilty of having been suckered into this game purely for the fact that the minis look amazing, and so very different to anything we’ve had so far. 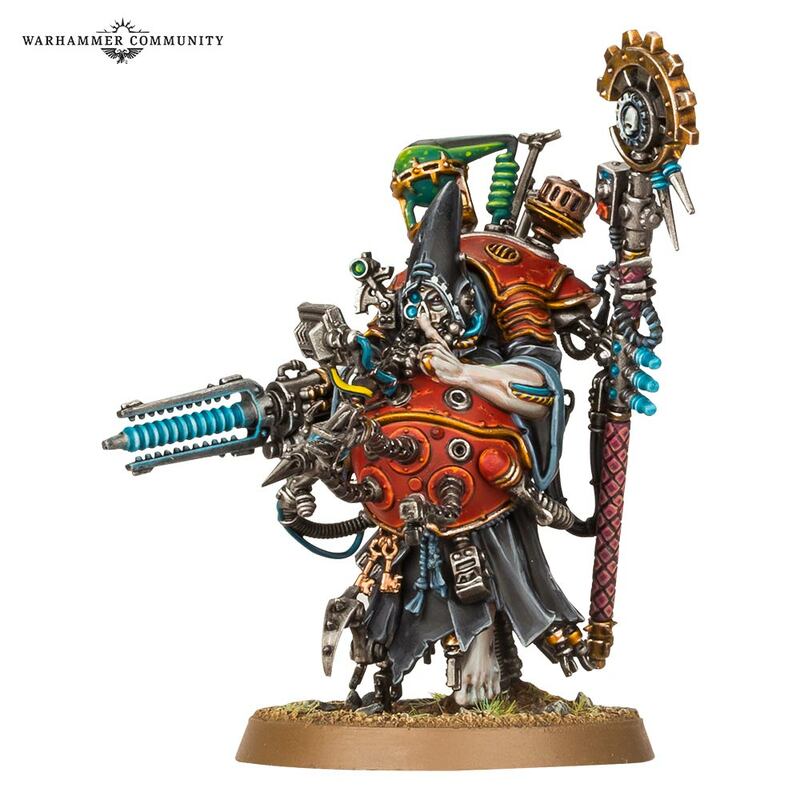 Negavolt Cultists and Traitor Guard are just fabulous, while plastic Ministorum Priests and Navigators are just phenomenal! 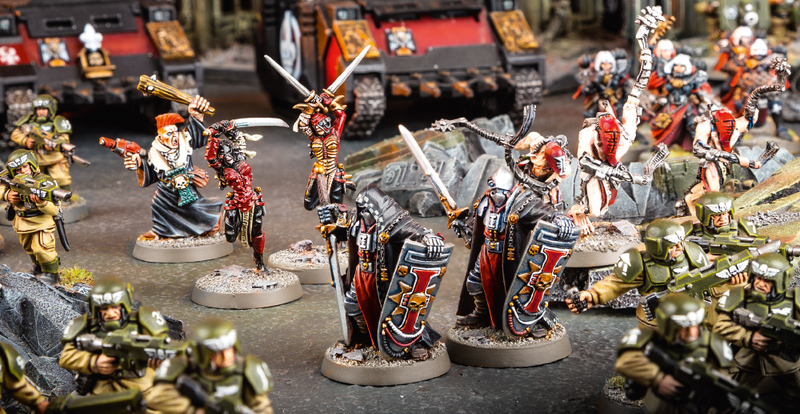 One of my driving reasons for picking up the game was that I have a concept for Armies on Parade that a lot of these miniatures really fit into, so in a way I dropped a lot of cash on picking up some minis that look fantastic. However, the game itself is actually really quite good! 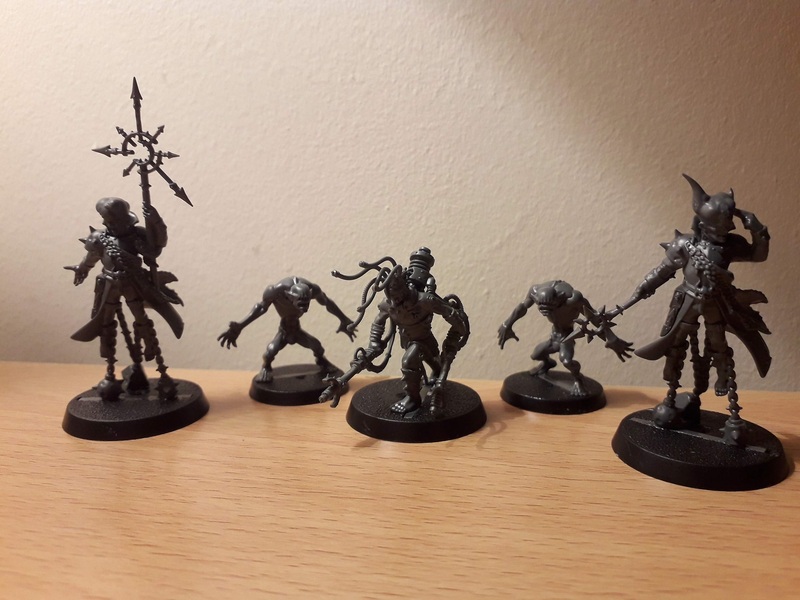 There are some very specific set-up instructions that I don’t remember from Silver Tower, which help to balance the game somewhat and introduce you to things slowly as you begin with the prospect of lower-level adversaries to fight. 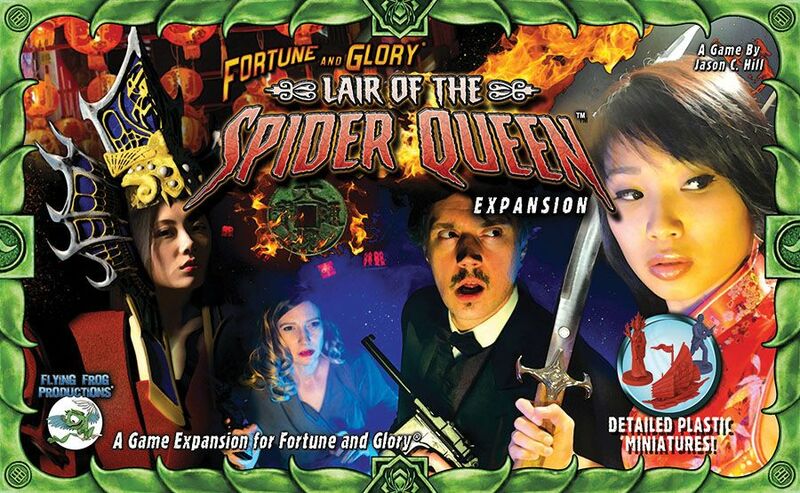 The game features an in-built levelling system whereby, each time you end an adventure, you add in a Legacy card that either gives you more enemies to fight, or increases the difficulty of the current selection. Combat is not always a given, either – during set-up, you create an encounter deck, which are split into combat and challenges, and it just so happened that I drew a combat to start things off. Challenges are almost out-of-game things where you need to build a tower of dice in 20 seconds, or whatnot. 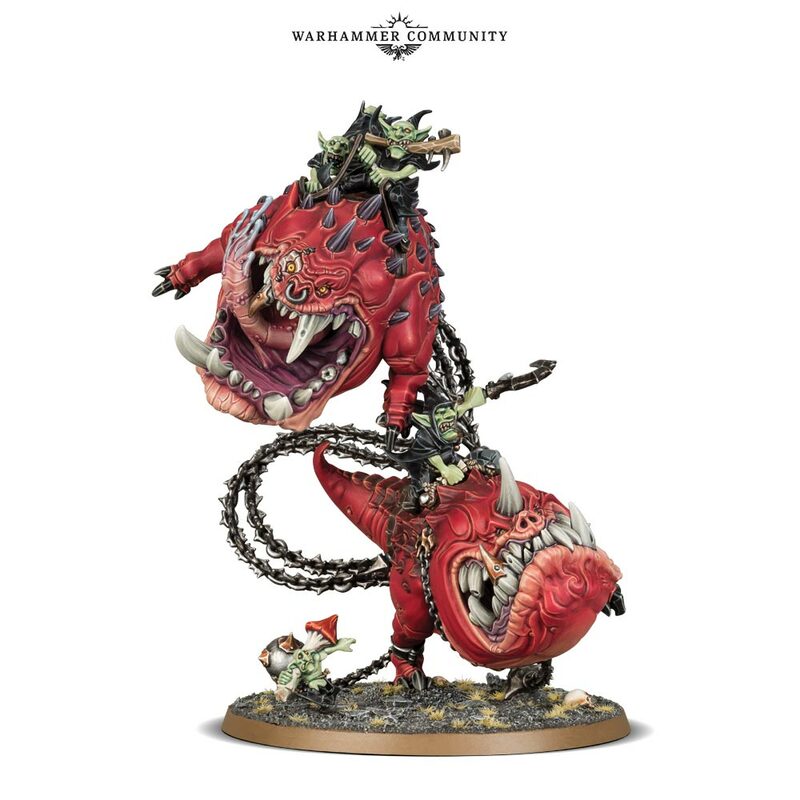 I suppose this is what GW meant when it came to the RPG aspect of things. 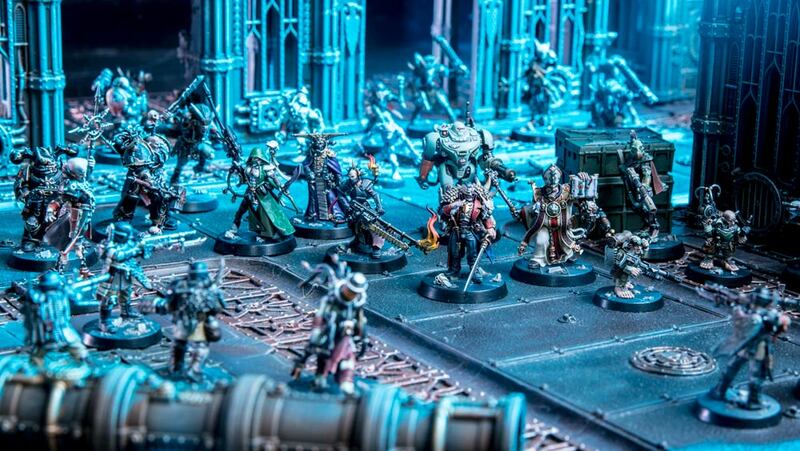 I’d been hoping this game would be something akin to Shadows of Brimstone, though with a better quality of miniature and a much slicker implementation. The gameplay itself is actually really straightforward, and like I said earlier, it wasn’t a huge concern for me once I got going. The structure of the turn is fairly straightforward, if a little packed with stages, and there are some bits that I found myself forgetting at first, such as the Event phase at the end. 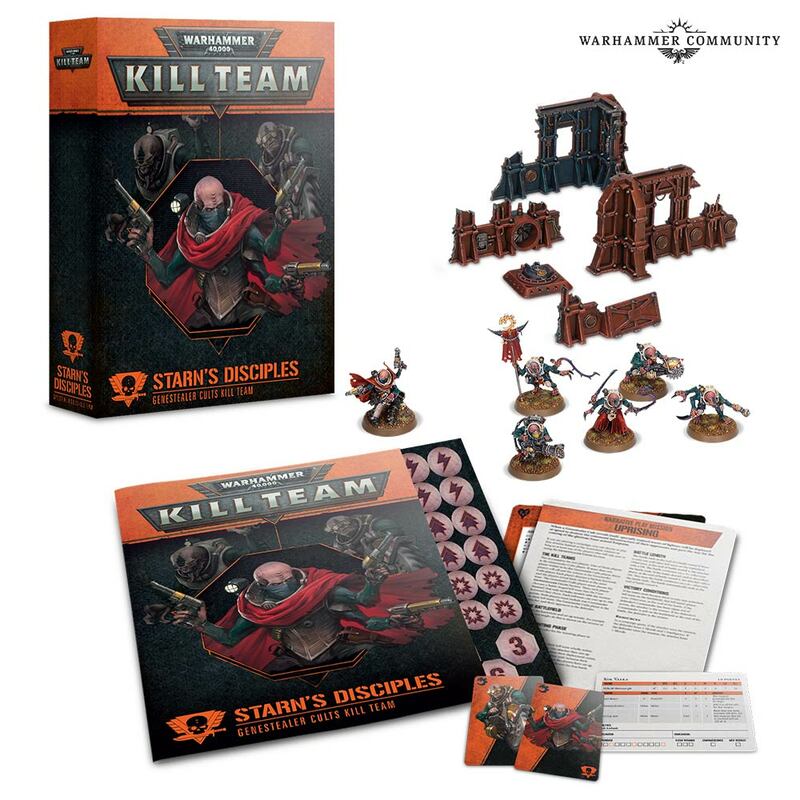 The main problem, I found, was that the rulebook feels very much like it has been separated into three separate booklets for no good reason. 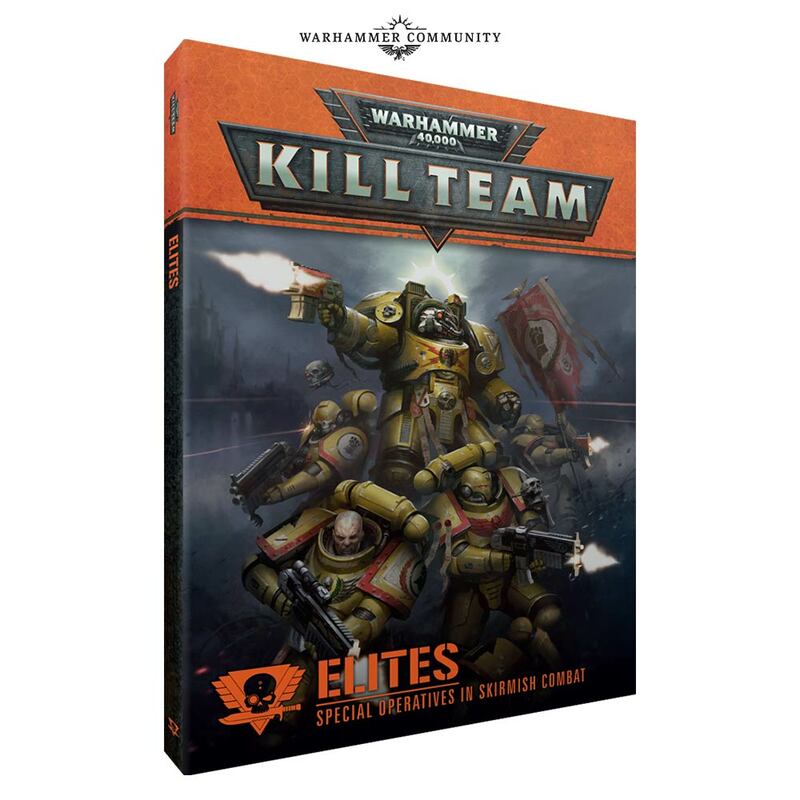 There is the actual Rulebook, which only includes the rules for set-up, and then some advanced rule stuff; the Combat book actually includes most of the rules you’ll need to reference during the main body of the game, and the Precipice book has all of the after-game stuff like buying stuff and whatnot. It felt clunky for the amount of booklets I was leafing through each time, and I do believe it could have been organised much better, with just one big book that also includes the Background material included within a fourth booklet. 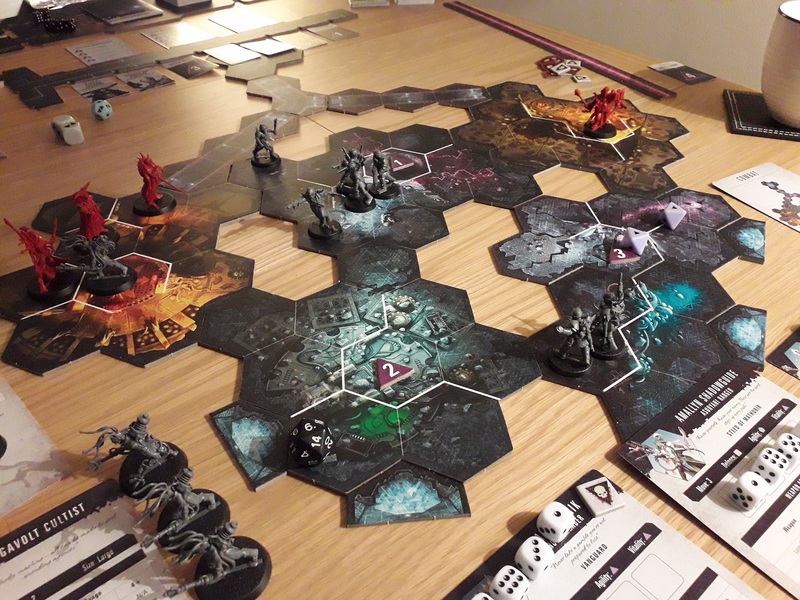 This isn’t a dungeon-crawl in the sense that Silver Tower is, as the Combat cards re-invent the board each time you draw one, and place adversaries for you to overcome. The AI that drives these adversaries is, if I’m honest, fairly basic – being a hex-based map, there are often a lot of decisions to make as to where best to move the adversary, and I can imagine a lot of players would position them in such a way as makes it easier on the explorers. 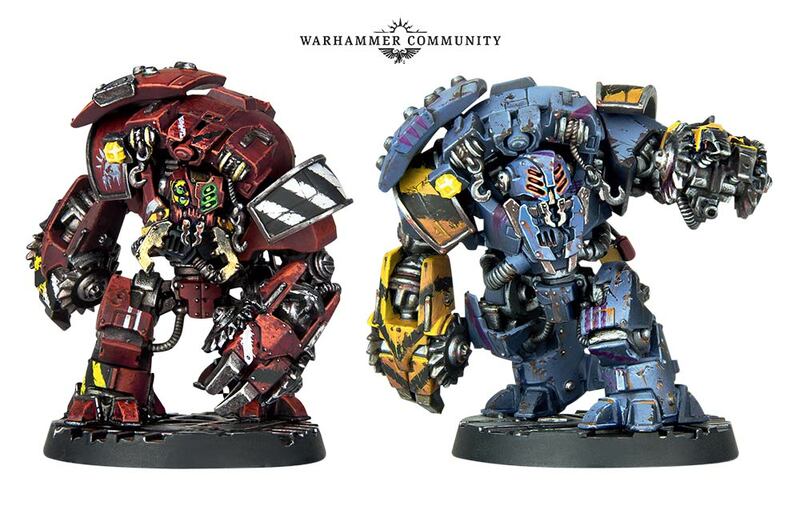 I did like the Reinforcements idea, though, whereby enemy models can potentially always come back, even if you’ve gotten rid of the entire group. I was seconds from getting all of my explorers clear of the maze near the end, when a group of six Traitor Guard reappeared and blocked Thaddeus from joining the others, causing the game to continue another couple of turns. Talk about dramatic! I think this is where the game is really going to shine, though, in terms of the storytelling and the drama that it can create when getting these moments in-game. There are a lot of moving parts to this game, and a lot of things to keep track of. 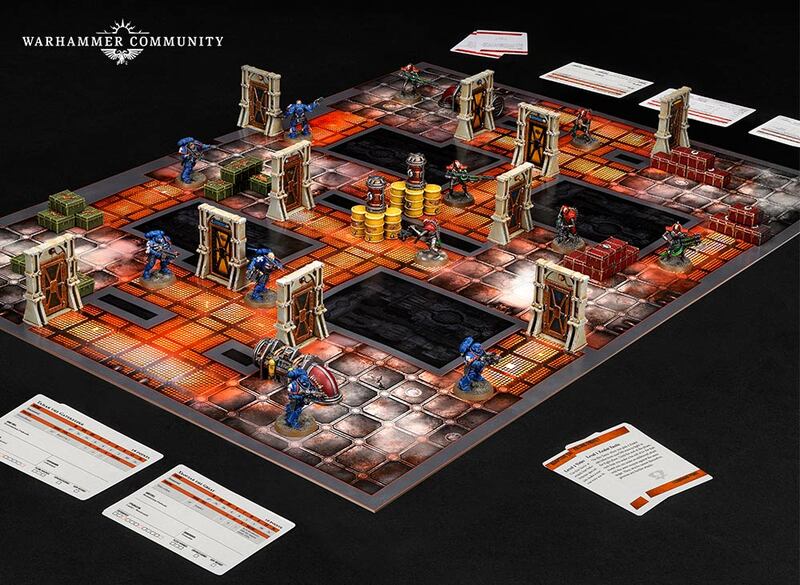 While it does work fine as a pure co-op adventure, the rules state that for five players, one will take on the role of a GM almost, and control the adversary groups as well as the additional stuff like Initiative. Doing that, I can see the game being a lot more involved and, dare I say, enjoyable as you feel more like you’re actually fighting against the fortress. But these are my initial thoughts, and increased familiarity with the game might see me change that idea. 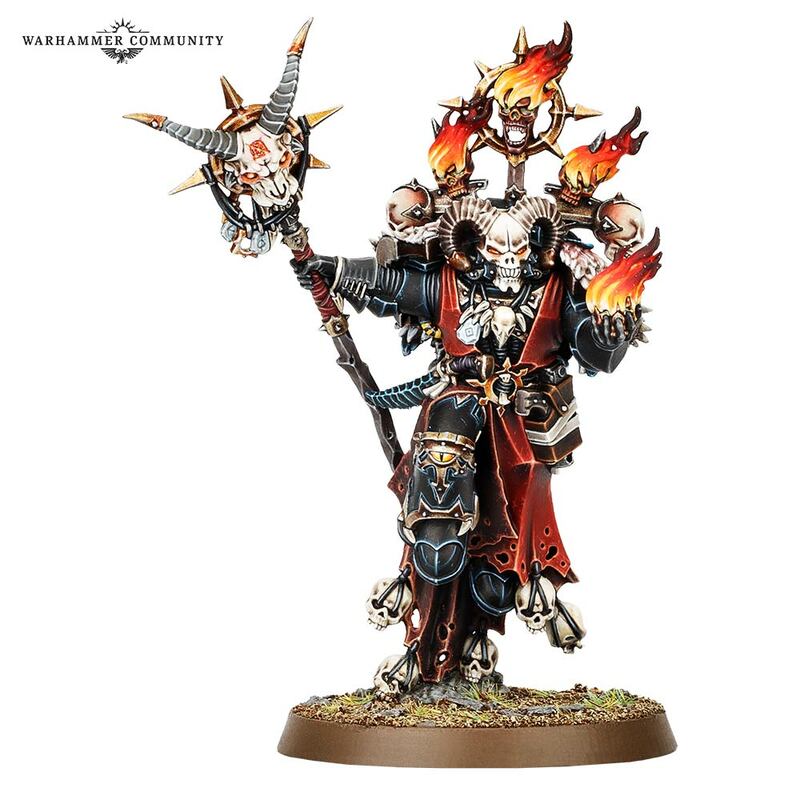 Overall, I think the game is a really good implementation of the Warhammer Quest core ideas. 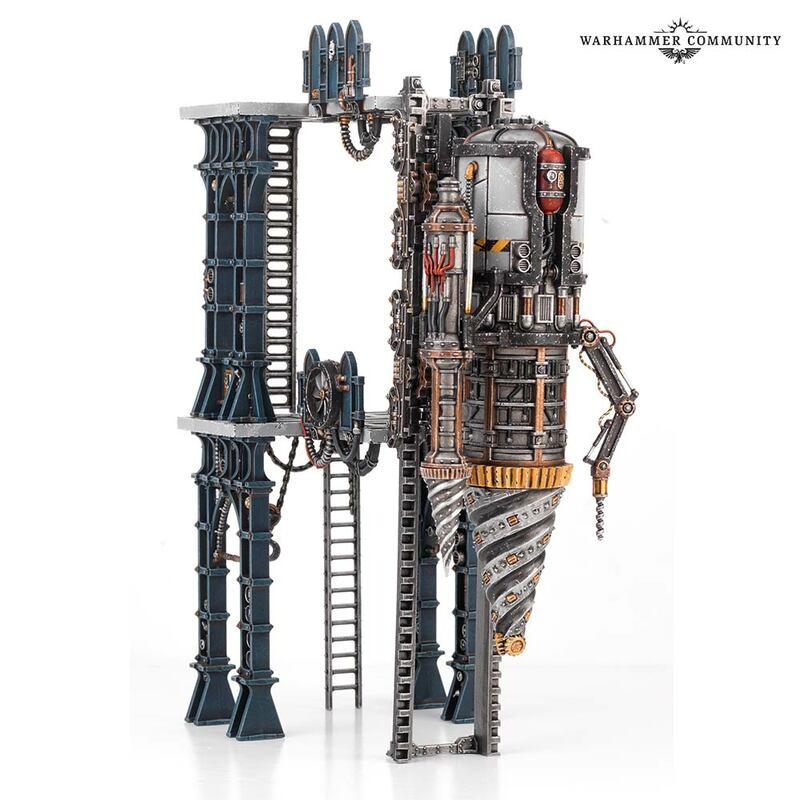 It doesn’t really feel that much like a simple re-skin of Silver Tower, but instead there is so much going on that you really feel in the 40k universe. If you’re already familiar with the setting, then there’s a lot to enjoy as you work your way through the adventure. I think a lot of people may be a little bit confused, or misled into thinking this is a Legacy-type game, with a lot of mileage out of your actions in one game spilling over into the next. This isn’t a Legacy game in the sense that Pandemic has made us understand it. 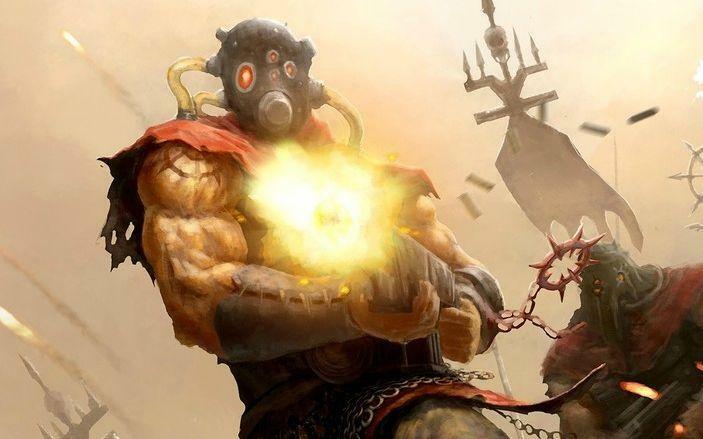 There is the opportunity to not so much level up your character, but certainly to create a narrative around them in the spirit of an RPG, and you can buy upgrades to add to their abilities. 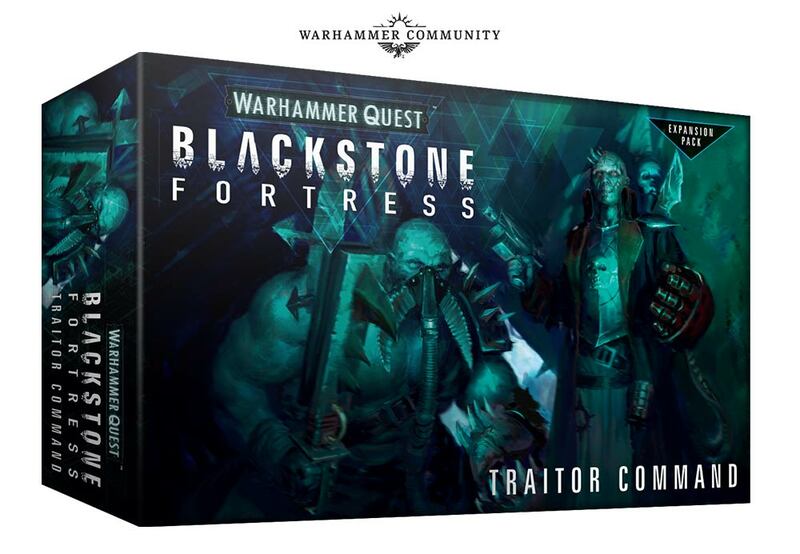 The confusing aspect, I think, is that there is a Legacy card deck, and GW have made a big thing about the sealed envelope that signifies the hidden heart of the fortress, to be opened only after you’ve defeated four strongholds (basically a more narrative, drawn-out Combat step). Once you’ve done that, you get to open the envelope and find what was waiting for you all that time. I’ve notheard of anybody who has opened one without completing the adventure yet, so at least it has captured some people’s imagination, but this is really where any similarity to the Legacy genre ends. 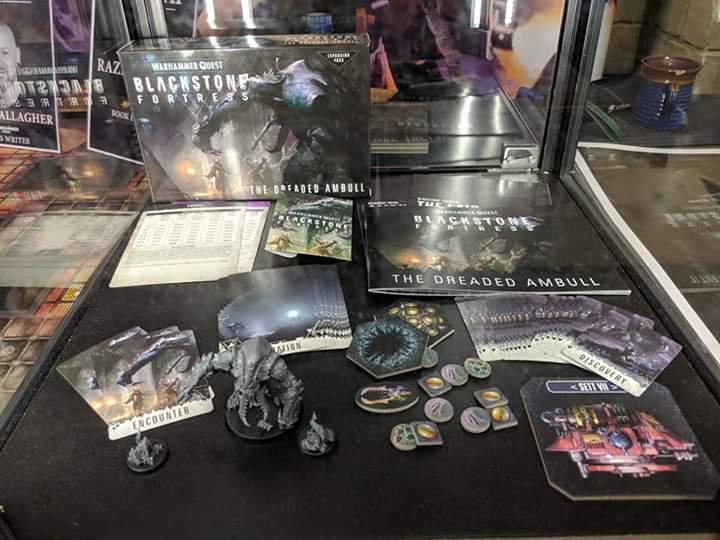 It’s definitely an enjoyable game, and there are a lot of storytelling possibilities within the game, but the main roadblock for it is the same as that for Silver Tower: you’re paying £95 for a type of game that you can get for probably half that price elsewhere – and where the miniatures come pre-assembled! 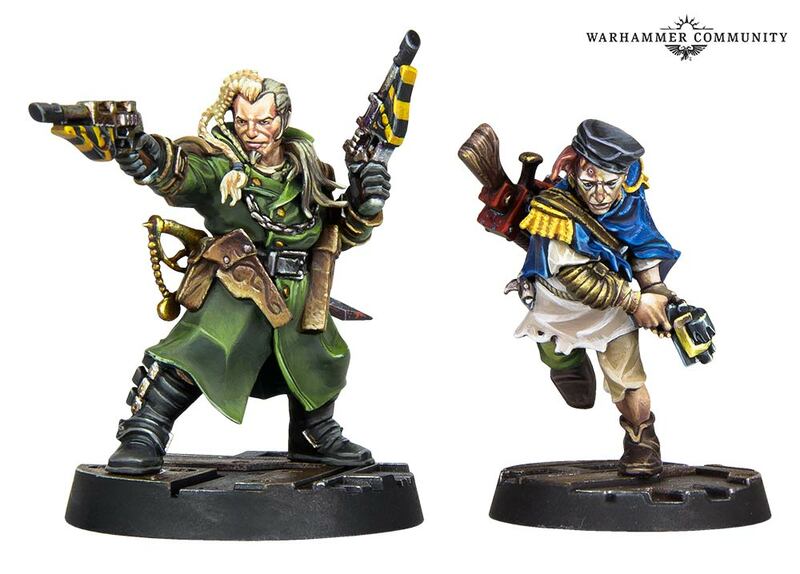 Unless, like me, you’re invested in the lore, and you love the look of these new miniatures, then I can imagine you’d be better off going elsewhere for your space-faring co-op adventure. 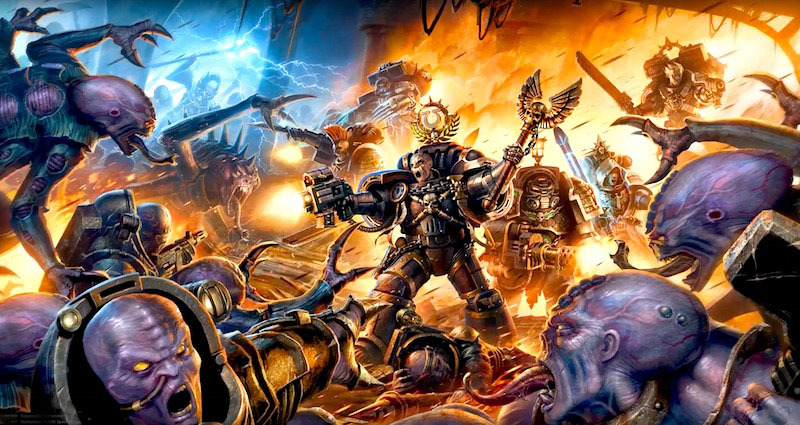 Games Workshop have recently come out to say that there will be expansions, more news of which will be coming in the new year. 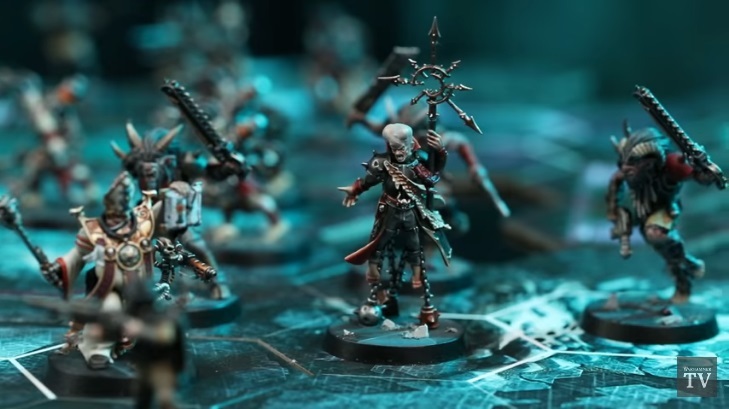 This is an exciting prospect, as they’re using this game as a way to explore the dark corners of the 40k universe, and based on what they’ve done with this already, I cannot wait to see where they go next with it. 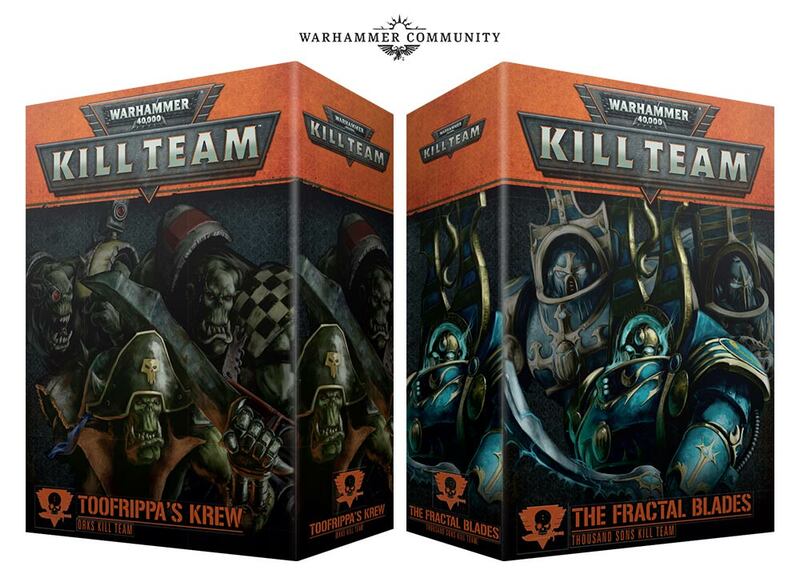 I hope we will see some rules to add selected pre-existing miniatures as adversary groups to the game – possibly through card expansion packs, as we only really need the Legacy cards, the Adversary stat cards, and maybe a themed mission or something to bind it all together. 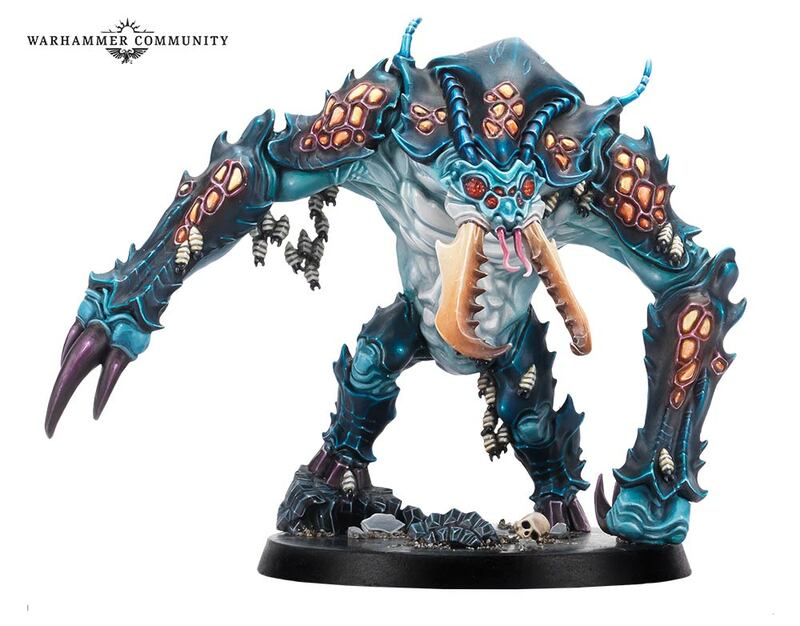 I’ve talked in the past how they could use this to introduce something like plastic Flayed Ones, but I don’t know if this could actually happen. However, I also hope we won’t have to wait 12 months before we see another big box for the game. 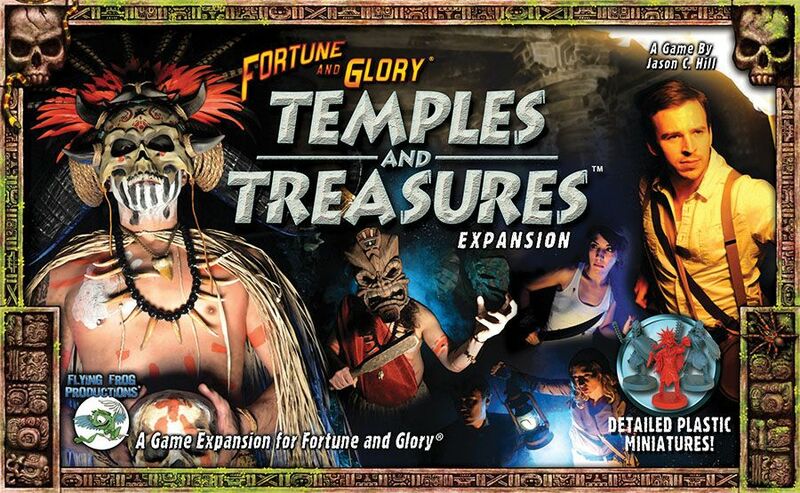 I’d like to see something that basically expands the game with a smaller-scale version of the core set: a couple more explorers, with a couple more adversaries, and maybe a mission or two with the appropriate tiles, etc. It’s certainly going to be interesting to see just how much love they give this game, though! 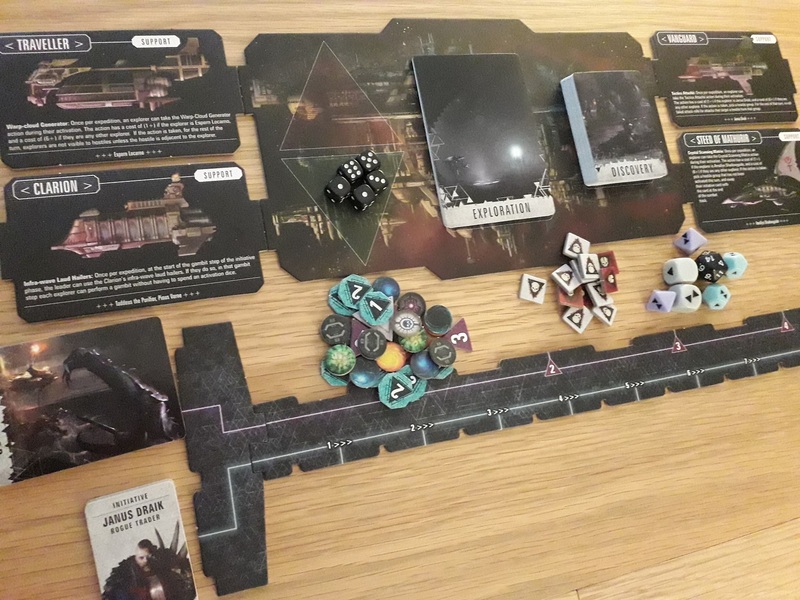 Join me next week for another Game Day blog, where I’ll be shining the spotlight of awesome on another game from my collection!